Geothermal energy (heat from the earth) taps the volcanically-heated water and steam that occurs naturally in certain areas in Hawaii, particularly the younger islands of Maui and Hawaii where volcanic activity has been most recent. Three things are needed to produce geothermal energy: heat; a working fluid such as water or steam; and permeable rocks which allow the working fluid to move within the geothermal reservoir, picking up heat which can be brought to the surface through a geothermal well. The Kilauea East Rift Zone, thus far the only region developed for geothermal energy in Hawaii, has all three of these attributes. 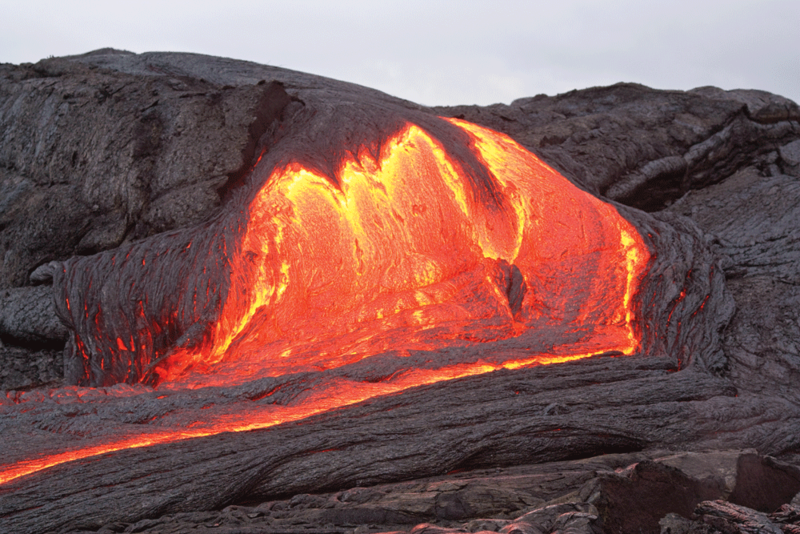 Hawaii’s geothermal resource is “hydrothermal,” or water dominated, due to ample seawater and rainwater permeating the island’s lava foundation. In some parts of the world, such as The Geysers in California, geothermal reservoirs produce dry steam. In other places, such as the desert western United States, techniques for extracting the heat using “enhanced geothermal systems” (EGS) are being tested. For information and data on renewable energy and energy efficiency in Hawaii, download the 2018 Hawaii Energy Facts & Figures. Please note that we do not necessarily verify, endorse or agree with statements or opinions presented on the listed sites. Links are provided to sites that appeared to provide information, present additional perspectives, or lead to further discussion on this or related topics.